Ferrari has unveiled a new Special Series model at the Pebble Beach Concours d’Elegance in California. 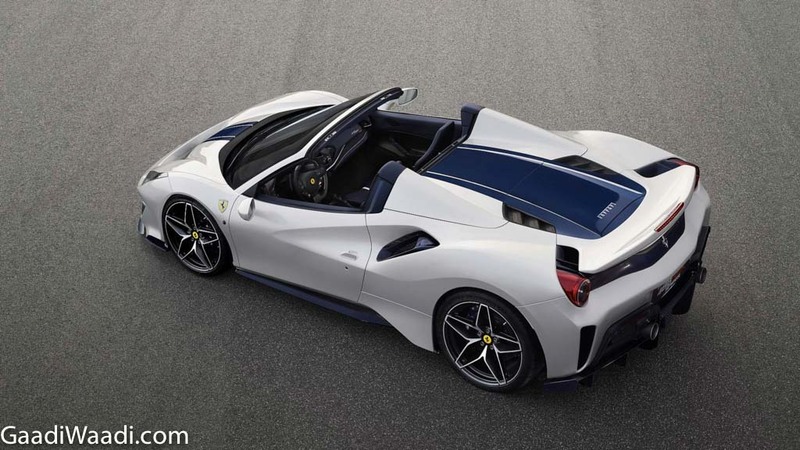 The 488 Pista Spider is the 50th drop-top machine from the Italian manufacturer and debut in the US makes all the sense as the North American customers have been fond of Ferrari performance convertibles for over six decades. 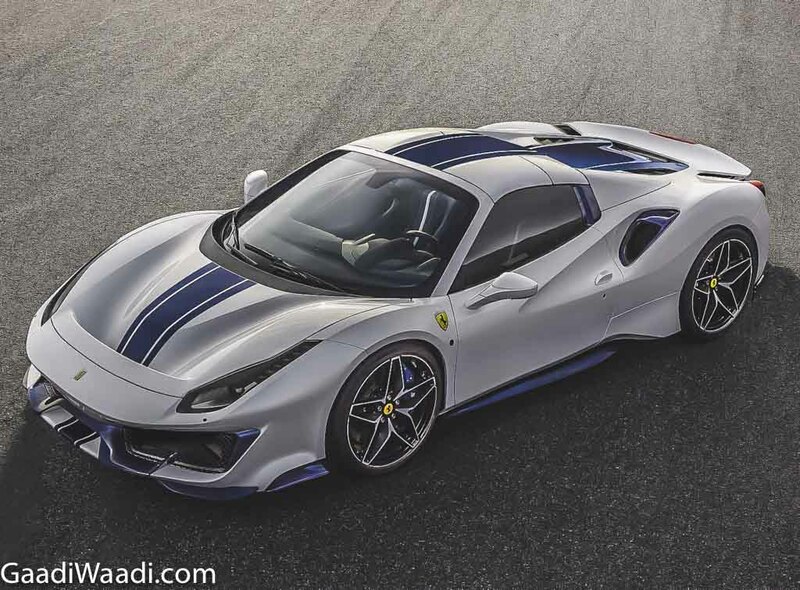 As expected, the Ferrari 488 Pista has never-before-seen weight to power ratio of 1.92 kg/hp courtesy of the most powerful V8 engine ever from the brand. The powertrain credited with “Best Engine in the world” award for thee consecutive years uses a 3,902 cc twin turbocharged motor developing 720 hp and 770 Nm of peak torque. The Prancing Horse says the engine sound is now “even more riveting thanks to the open-top configuration”. 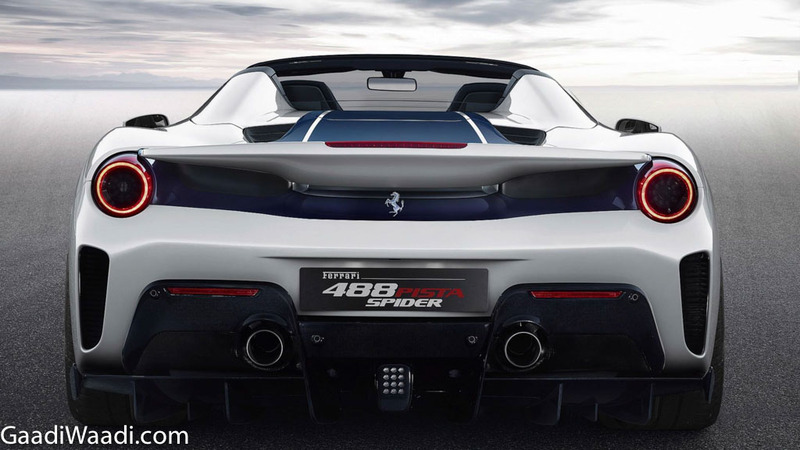 The Ferrari 488 Pista Spider is a captivating derivative of the coupé version that world premiered in Geneva this past March. The drop-top adorns central livery running along the entire length, expanding towards the rear and finishing at the end of the rear wing adjacent to spoiler. The aerodynamically shaped bodylines are complemented by the flamboyant choice of materials for the interior due to the lightweight, pared-back components. 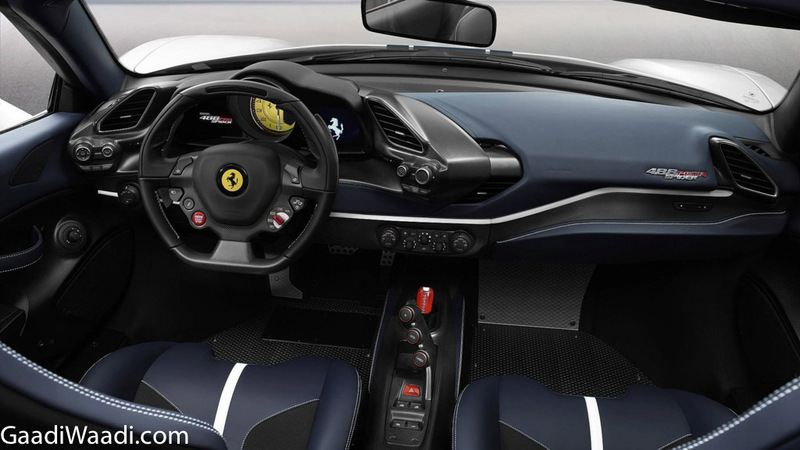 There is also extensive use of carbon fibre and Alcantara everywhere, while patterned aluminium footplates replace the carpets and the driver side door handle is a simple strap. 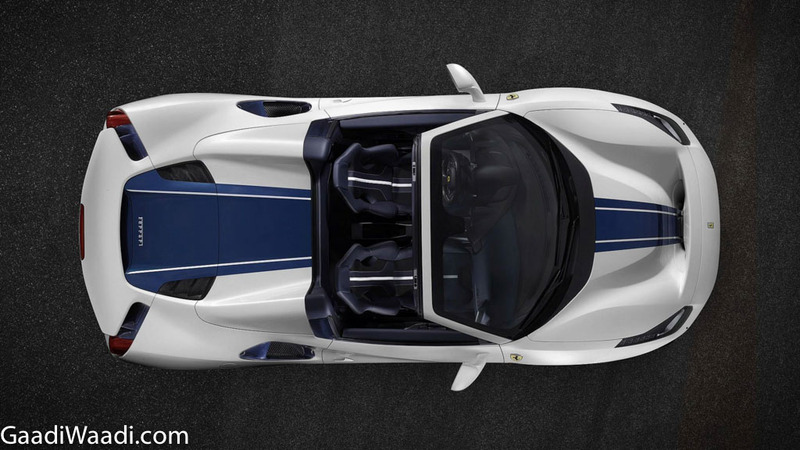 The engineering team took a step above with the Ferrari 488 Pista Spider as it is a direct derivative of the regular 488 Pista. The racing expertise and technological transfer from track to road garnered across the globe from world-famous circuits featured in the 488 Challenge and the 488 GTE has been fully implemented. The Special Series convertible comprises of new lateral dynamics control system called the Ferrari Dynamic Enhancer (FDE) to make “on-the-limit driving more intuitive, controllable and predictable”. 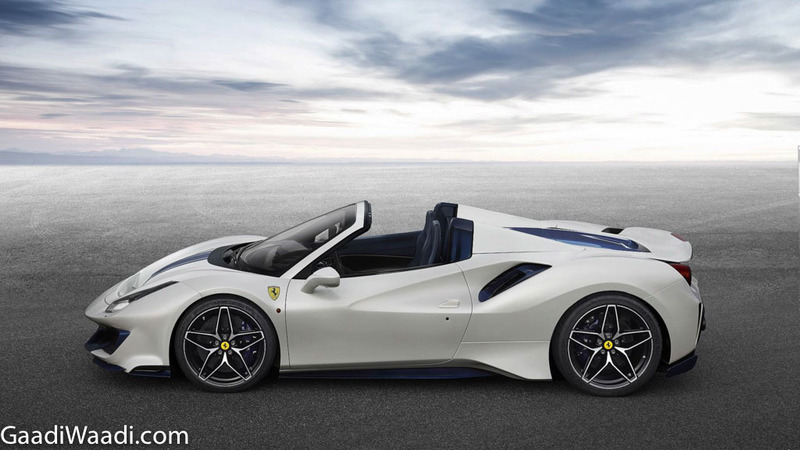 The 488 Pista Spider comes equipped with diamond finish 20-inch alloy wheels with a novel 10-spoke Berlinetta styled rims, and optional one-piece carbon-fibre wheels with 20 percent weight reduction over standard forged alloys.